The PDGA has recognized the growing senior population and has and is taking steps to reach out to current PDGA members and the senior population in general. 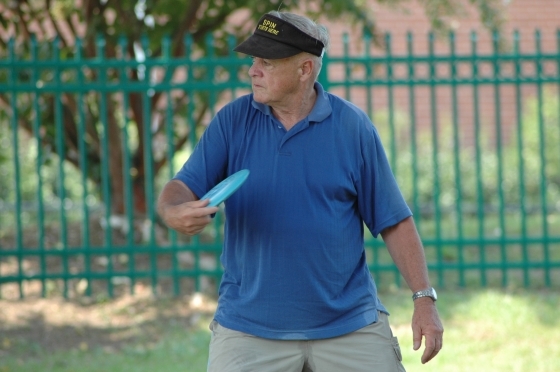 In August, 2009, the Senior Committee was established to “inform and encourage seniors (50 and older) to participate in the sport of Disc Golf”. Don Dillon, a senior, was appointed chairman. The purpose of this web page will be to provide resources and information that will allow for the promotion the sport to other seniors. Interested players are also encouraged to communicate with the Senior Commitee on matters that concern senior play both within and without the PDGA. 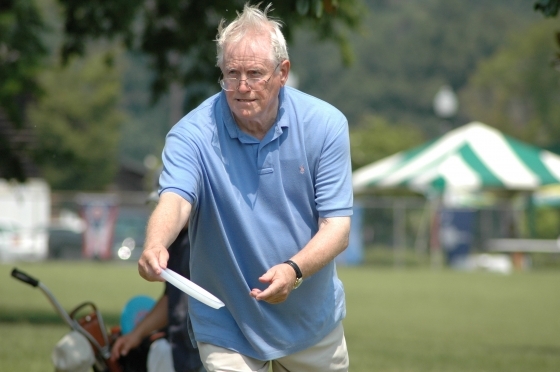 The PDGA is pleased to announce that Don Dillon and the Senior Committee, in an effort to assist PDGA members in getting more seniors involved in disc golf, has produced "Promotion to Increase Senior Participation in the Sport of Disc Golf". We hope this will stimulate the membership into taking an active role in this significant promotion to encourage a happy and healthy senior population as well as an enhancement to the sport. It would be extremely helpful if the membership would report their efforts and success to the Senior Committee. Why PDGA Members Should Be Interested? A list of reasons why adding more seniors to the sport will enhance your experience, provide additional dollars and labor for new courses, provide additional attention to the sport, etc. Why Should Seniors Be Interested? In this chapter, medical information is provided from various national institutions, three university Professors, and other publications. This information explains specifically why exercise will help reduce the aging effects on the body and mind. The information either directly addresses the sport of disc golf activity or implies how other activities involved in exercise associated with disc golf will benefit the seniors. This chapter offers suggestions on approaches and where to find seniors and how to approach organizations that involve seniors. It also suggests a course for enlightening seniors about the sport and why it is good for them. The physical and mental considerations of aging present special conditions which must be recognized and understood when making presentations and conducting demonstrations or instruction clinics to seniors. This chapter mentions some of these considerations, throwing strength, disc weight, number of discs required, nomenclature: etc. Ideas about conducting the teaching sessions to take into account some of the thoughts in the previous chapter. No doubt, you will think of other lesson plans and teaching goals. What is suggested in this chapter is not set in concrete but merely suggestions to get you thinking. The ideas came from personal experience and may differ from what others have had. Be on the lookout for a new Senior page that is currently under development at PDGA.com. Questions and comments on this document as well as other disc golf issues related to seniors can also be directed to Don Dillon at [email protected].